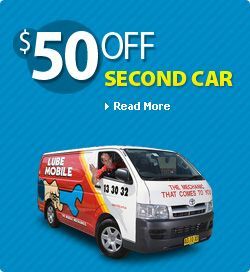 Top Aussie service — Lube Mobile! We help Aussie motorists around the country every day. You’ll get Australia’s most reliable service from our friendly mobile mechanics anytime you need help, anywhere! Don’t pay extras! We never charge them! Forget about getting stuck with a guess disguised as a quote! Our written quotes are the whole story! 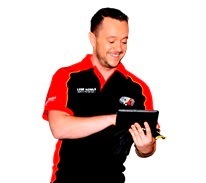 12 month warranty around Australia! Want to pay by credit card? No problem! Tired of paying for car work you didn’t even know about? We only do the work you’ve authorised! Yes, we do house calls! We can do your regular service onsite when you want it! In a predicament and want help ASAP? Just tell us what you need, we’ll be right there! Car system troubles? No problem — Lube Mobile does all car systems! True professional standards of work and conduct. Get your job done on any business day. Our locally-based Lube Mobile service is the best way to get the benefits of having your car service close by and Australia’s top car specialists at the same time. Our expert mobile mechanics will give you service with that professional touch as well as good advice when you need it. Good upfront quotes — You know exactly what’s going on and what it costs! Written quotes for all car services and car repairs. Select a payment option for your work. All work done with your approval. Comprehensive quotes — No “surprise” charges or other fees. All car service and car repairs are covered by our standard national warranty. Pick a preferred method of payment. Never any work done without your consent. Lube Mobile — Good and quick! When you need help, you’ll get the best from Lube Mobile. You’ll get top service from our friendly experts, great work and good advice.